The number of Indian visitors flocking to Australia is expected to reach around half a million by 2025, according to Tourism Australia. Over 300,000 Indians visited Australia during the year ending March 2018, the largest number of Indian visitors to Australia in a single year. It's a 20 per cent increase compared to 2016, as per the latest figures released by Tourism Australia. The boom is being attributed to the online visa processing scheme introduced by the Australian government for Indian visitors in July 2017. “The expansion of online lodgment of Indian applicants is an important step in managing the large number of visitor visa applications processed in India. Processing times for visas are now faster, as both applications and supporting documentation are immediately available to the processing office,” Tania Gerlach, the Chief Migration Officer at the Department of Home Affairs told TOI. Amritpal Singh Makkar, a travel agent from Amritsar city in the northern Indian state of Punjab who specializes in Australian tourist visas told SBS Punjabi that his agency lodged over 200 tourist visas online since November, out of which at least 80 per cent were processed in a record time of 10 days. “We had a nearly 100 per cent success rate and the best part is that most of the visa applications were processed in less than two weeks, all thanks to online visa system,” told Mr Makkar. One of Mr Makkar’s clients is 30-year-old Mandeep Kaur who has just received her tourist visa a few days ago. 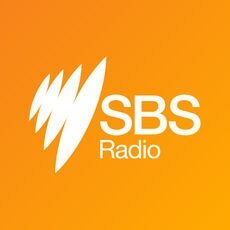 The ecstatic Ms Kaur who’s been dreaming of visiting Australia since her days in school told SBS Punjabi that she cannot believe that she has “lucked out”. Over hundreds of thousands of Indian visitors are expected to join the likes of Ms Kaur in the coming decade, a number that is forecast to reach about half a million by 2025. In 2017, India was Australia’s eighth largest inbound market for visitor arrivals, according to Tourism Australia. The Department of Home Affairs has introduced changes to the way some visitor visas are lodged. The changes will take effect on 1 July 2018. People travelling to Australia on visitor visas must have some form of health, travel or life insurance, says an expert Prabhdeep Bhalla who has been working in the insurance sector from last seven years. The Education Minister will emphasise that Australia is a safe education destination and students who choose to study in Australia will be provided a safe place to study when they visit.